In Plague Inc: Evolved, you can name a disease, and your task is to have that disease wipe out the entire human population. Naturally, I named my disease Donald Trump, and at first that was hilarious… until it became chilling. Trump started out infecting just a few Americans, with a low-level respiratory illness. It was nothing too major, and if scientists had have been looking for a cure then and there, it would have been nipped in the bud. But the scientists were not aware of it at that point, so I had a headstart to get Trump going. Earning mutation points as the disease started to infect a small handful of others, I was able to increase the potency of Trump, adding coughs and skin complications, and I was able to help it spread by allowing animals to become infected with it. Finally, I gave it a nasty lasting power by making it resistant to antibiotics. Trump was ready to start making people really sick. It was Mexico that was infected first, and my immediate thought was that the Mexicans should have built a wall. Trump was, by now, growing in potency rapidly, to the point where the mutations were starting to make it dangerous to life. No one had died, yet, but millions were now carriers. This biological time bomb was about to explode. It was about when the first people in Europe were infected, having had the disease move to them via boat and plane, that the first death occurred, and that’s when the world’s scientists sprang into action, with government-funded medical programs designed to find a solution. At first, the funding was minimal, but as Trump began infecting more areas; South Africa, India, Russia, the global effort to defeat Trump intensified, and more and more money was thrown into medical research. It became a race; would the scientists be able to find a cure for Trump before the world’s populations collapsed? As more and more people died, order in their respective countries began slipping. After enough died, the government would be overthrown and the nation would no longer supply money to the research efforts. Sweden was the first to fall, after a dwindling population panicked and extremists caused a meltdown at a nuclear power plant. India, its massive population that exists in such poor health conditions, was second. America, the initial source of Trump, held on to public order for a valiant period, but as it fell, the sense that the disease would win became palpable, and the residual efforts of the likes of England, Japan and Brazil would not be enough. Morocco, the last nation to be infected, was also the third last to be wiped out. Australia, insulated somewhat by its distance and geographic isolation, was second. Somehow Brazil was the last nation on the planet to have living people. But it fell. Trump won. Humanity was gone. Plague Inc, originally released on iOS, is a truly masterful game that makes the move to console effortlessly. It’s a simple strategy game that requires you to develop a disease that will kill people and resist efforts to cure it, with the end goal of wiping out the planet. It’s simple, but challenging, because the game does work as a plague modelling simulation, and does reflect how diseases manage to travel around the world today, and how nations co-ordinate efforts to then fight against them. One of the most chilling things to view is, in fact, what happens as critical numbers of people in nations become infected. 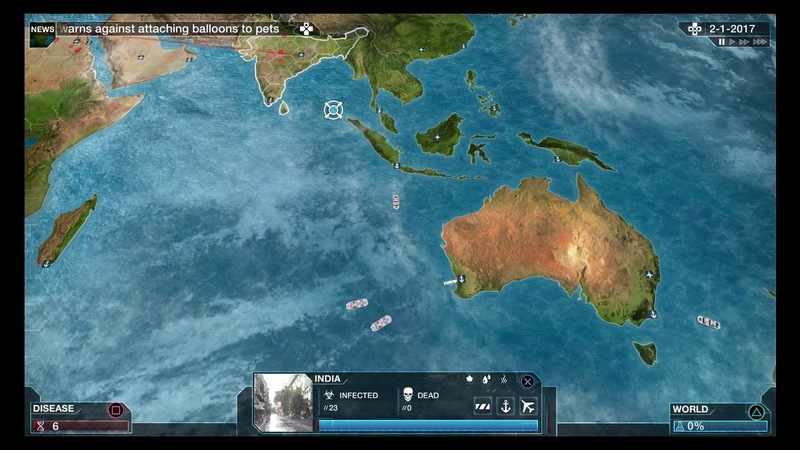 At the start of the game there is air and sea traffic everywhere, but governments, as they become desperate, close their borders, so the planet starts to go ‘quiet.’ This is a rare strategy game where there’s not much you can do in the last third of it. Usually that's when the battles and stakes hit their highest points, but here it’s really a sit-and-wait kind of experience, as there aren't many more resources coming in to mutate the virus with, but governments are falling, so the research to find the cure is also slowing. Sitting and watching a planet that was once busy and dynamic slow to become unmoving and decaying, covered in sickly red dots, is eerie. It’s an uncomfortable reminder that we really are one superbug away from catastrophe. In fact, as a fan of apocalypse novels such as Sakyo Komatsu's Virus, I found it very easy to imagine the human stories playing out through those cold, distant red dots that I was seeing. I could imagine the desperation and melancholy of the survivors, the political turmoil, the riots; if there's anything that is able to explore the true nature of humanity at its most pure, it's how humanity responds to an apocalypse playing out in front of it. 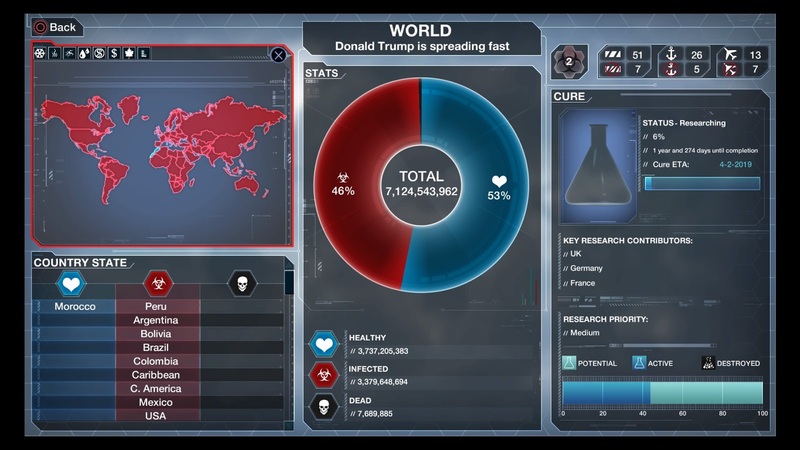 And so, as sterile as Plague Inc. appears in screens, in practice it's actually a painfully creative story telling game that really inspires a sense of abject terror in players who stop to realise that this kind of thing could actually happen. You have a lot of control over how the virus mutates, but it’s the early stages of the game that are the most critical – the more momentum you can build early, before the scientific research can begin, the more likely it is that the disease won’t be stopped in time. You can choose where to start the disease off, and if you pick a warm, arid environment, such as Saudi Arabia, the disease will need to evolve differently when compared to a cold nation like Russia. When you first play, you’ll only be able to make a bacteria-based disease, and with four different difficulty options to chose between. As you play, you’ll unlock other diseases, from the mundane (fungus), through to the fanciful (nano-bots). These diseases each require different strategic approaches, though the goal remains the same. And yes, on the higher difficult settings, actually wiping out all of humanity is incredibly difficult. As you would expect it to be. I do hope against hope that if humanity were ever faced with a genuine existential crisis, it would be able to combine resources to defeat it. 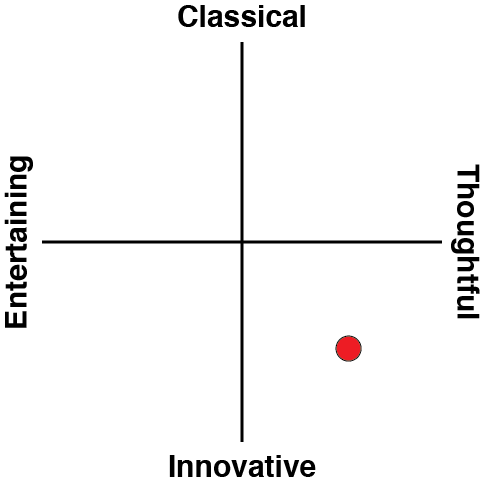 That might be wishful thinking, but the highest difficult mode reflects that belief nonetheless. As a guy that loves data, I’m fascinated with the visual representation of the modelling engine that this game uses. I spend a lot of my time playing wading through the graphs and pages of demographic info, looking for insight into what I need to do next to my disease to up its potency. If it’s not performing well in cold climates, for example, I will up the potency of the disease in those climates. If the populations in the topics are proving difficult to infect, I add a mutation that spreads the disease through water. On the higher difficulties, it’s critical to pay attention to which nations are most effective in resisting the disease, and then specifically target those, because it’s only in developing disorder via community panic that you can stifle cure research efforts. 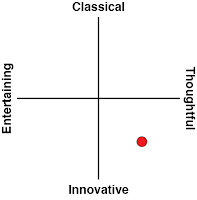 Other people might find the relatively dry presentation dull, but as I said, I find it fascinating. The main visual prop is a map of the world that gets covered in red dots as the disease spreads. It might have helped the game if there was footage or screens that show the impact of the disease as society begins to degenerate into chaos and anarchy, as the social commentary side of the game is underdeveloped as a consequence of how underdone it is, but otherwise it gets the job done. You could also argue that in being presented in such a sterile manner the game actually does the player-created storytelling quite well. I know I fully got invested in the story about the mutant Trump virus, even though I never actually saw what it did to a person (it can't have been pretty, though). 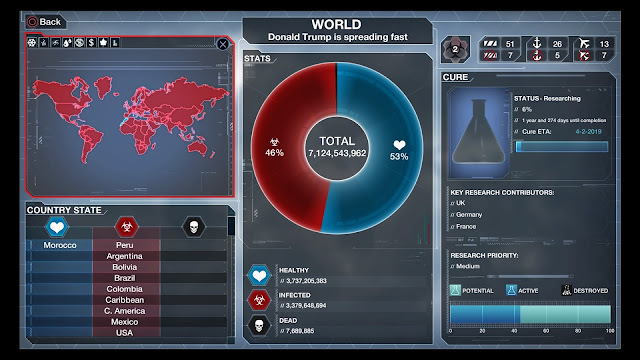 Plague Inc. was one of the better, more interesting and more important strategy games on mobile devices, and it is, likewise, one of the more interesting and important strategy games on console. For the simplicity of the options it allows through play, the depth of strategy within the game, coupled with the accurate, believable modelling of plague movements, and human behaviour within them, makes for one startlingly effective game. And for the love of God don’t vote for Donald Trump. 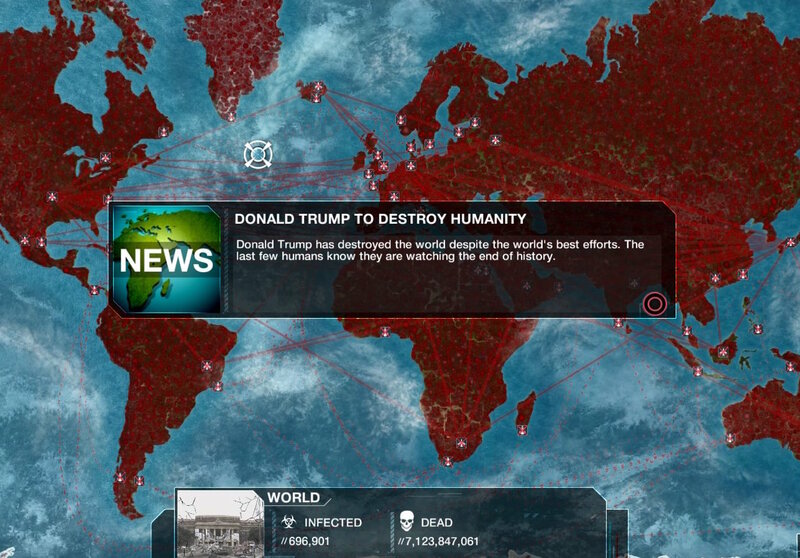 When you consider how utterly fitting the news commentary and events are when you make his name your disease in Plague Inc., it becomes quite clear that Trump is, genuinely, a blight on the planet, and bad news for everyone.